Key Verse: Verse 12- "Then Festus, when he had conferred with the council, answered, Hast thou appealed unto Caesar? unto Caesar shalt thou go." The Jews were not content with Felix’s decision to leave Paul in prison (Acts 24:27). They wanted Paul to be executed so when Festus (governor of the province) came into their area, they appealed their case to him. He brought Paul before him and Paul appealed to Caesar. Neither Felix nor Festus wanted anything to do with Paul. They both knew he was innocent but both also knew that to let him go would displease the Jewish people. I recently read an old fable that has been passed down for generations which tells about an elderly man who was traveling with a boy and a donkey. 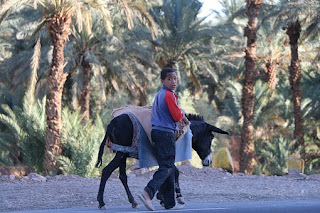 As they walked through a village, the man was leading the donkey and the boy was walking behind. The townspeople said the old man was a fool for not riding, so to please them he climbed up on the animal's back. When they came to the next village, the people said the old man was cruel to let the child walk while he enjoyed the ride. So, to please them, he got off and set the boy on the animal's back and continued on his way. In the third village, people accused the child of being lazy for making the old man walk, and the suggestion was made that they both ride. So the man climbed on and they set off again. In the fourth village, the townspeople were indignant at the cruelty to the donkey because he was made to carry two people. The frustrated man took their donkey and went back home. The moral of the fable is when you try to please people, you end up accomplishing nothing. So it was with Felix and Festus…they accomplished nothing. This should never be our testimony! ✞ Live to please the Lord and you’ll accomplish much.